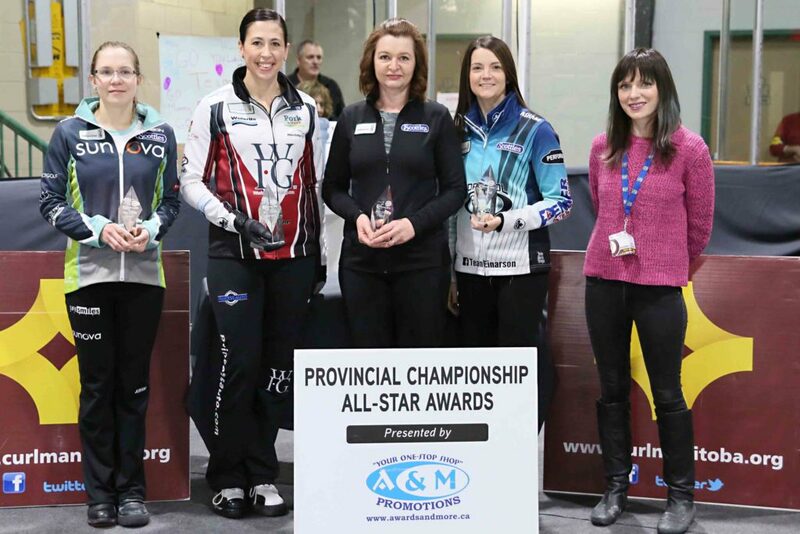 Each year at the Scotties Tournament of Hearts presented by Monsanto, the Awards & More All-Star Team is selected by the members of the Manitoba Curling Media Association in attendance at the event. The All-Star selection process is supervised by the Association’s President Clayton Dreger of Golden West Radio. The Awards this year were handed out by Melissa Martin of the Winnipeg Free Press.